AppFollow Help Center - What payments methods do you accept? 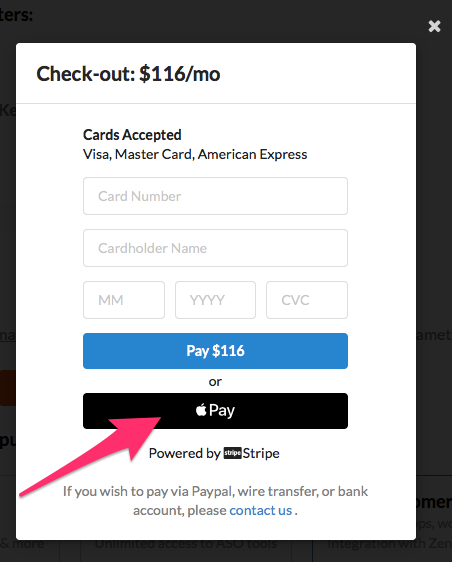 All Categories ​>​ Billing & Subscriptions ​>​ What payments methods do you accept? All card payments are proccessed through Stripe. Invoice-based billing (or wire transfers) is available only for companies. To request it please contact our support team by clicking intercom button.